This is officially becoming a trend: Springer is pulling another 64 articles from 10 journals after finding evidence of faked peer reviews, bringing the total number of retractions from the phenomenon north of 230. Given that there have been about 1,500 papers retracted overall since 2012, when we first reported on the phenomenon, faked reviews have been responsible for about 15% of all retractions in the past three years. This isn’t the first time Springer has faced the issue. As owner of the BioMed Central journals, it issued 43 retractions for faked reviews earlier this year. If that headline has you scratching your, well, head, we don’t blame you. After all, case studies are, by definition, unique — but not this one. 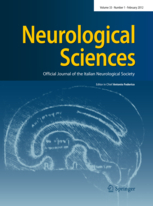 Neurological Sciences, the official journal of the Italian Society of Neurology, has retracted a 2009 article by a Korean scientist after learning that the manuscript contained elements of a 2007 publication in a different publication.